Inicio » Noticias Goldcar » Picturesque, Cultural and Bohemian – Palma is perfect for a Tour ! Picturesque, Cultural and Bohemian – Palma is perfect for a Tour ! This enchanting city dates back to the 13th-century Christian re-conquest of the island, and beyond that and back to the Moors, Romans and Talayotic period leaving it rich in culture and history with plenty of historical sites to be seen and indeed visited, Palma also plays host to a huge range of art galleries, restaurants, craft workshops and of course bars. Get yourself to the beautiful Gothic Cathedral which is sited right in the geographic and historical heart of the city and from there you can wander quaint medieval streets lined with old aristocratic townhouses, marvellous baroque churches, and busy plazas. The buzzing bohemian barrios and the busy and well-stocked markets selling local produce from the island. A great way to see this ancient Mediterranean port city and find out about the best things to do in Palma de Mallorca is with a 24 or 48 hour tour ticket aboard a City Sightseeing bus which is an open-top, double-decker bus. With this trip (around 20€) you will get to see all the important sights of Palma de Mallorca or you can also go on the walking tour, boat tour, or have free entry to Bellver Castle which is all included in the price of the ticket. If you’re feeling a bit more energetic why not hire some bicycles and see the city first hand and at your own pace. 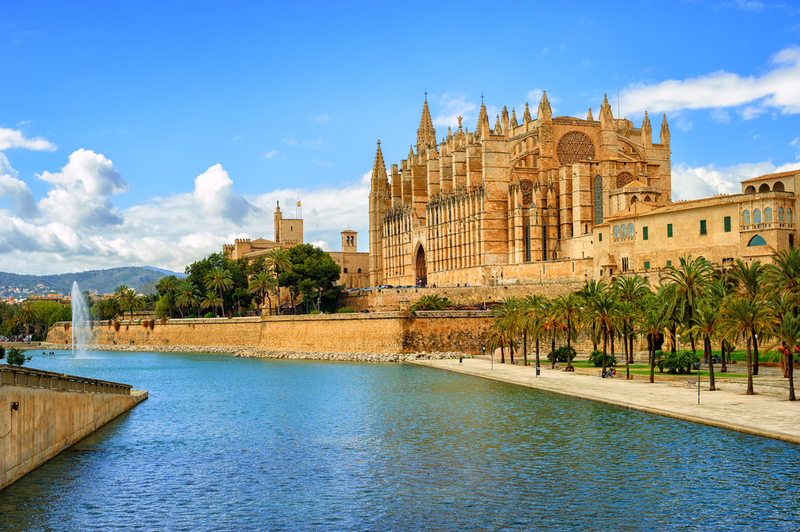 Follow a local guide at a gentle and sensible rate of knots and see the top city attractions including Palma Cathedral. There’s also the option (and highly recommended it is) of a visit to a tapas bar where you can complement your Palma experience with some delicious tapa, along with a nice cool drink. 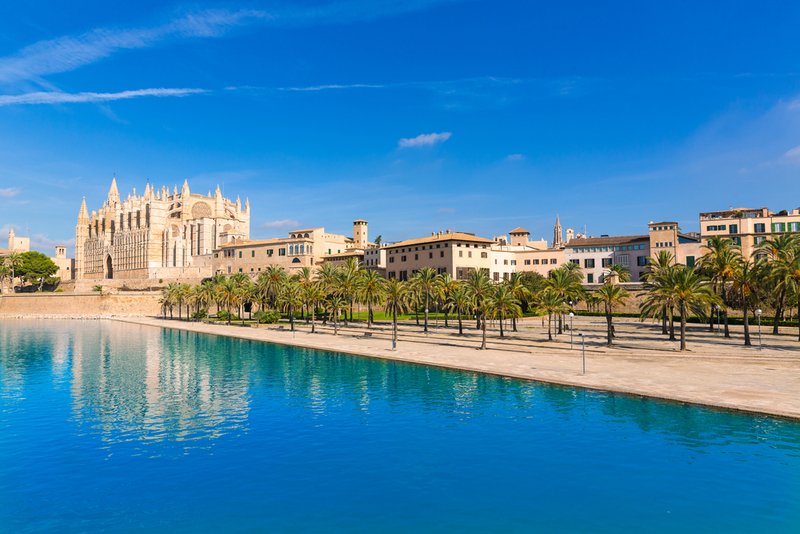 One of the best ways to see Palma is to gently cruise along the coast along Mallorca’s breath-taking western coastline on a boat ride and then to stop and relax in one of the local towns. Grab some lunch and then why not jump onto the local tram to Soller and explore the village with a guide. 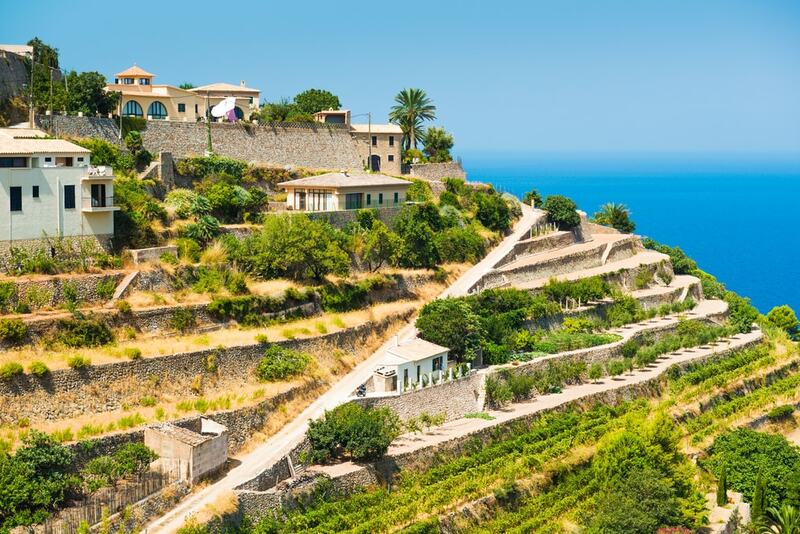 After that how about a vintage wooden train ride for a look at the wonderful views of Soller Valley’s farming landscape as you head on to Son Reus. Located next to the beautiful Mediterranean Sea, and with a charming and enigmatic historic quarter including the cathedral, the Palace of Almudaina and the fish exchange, Palma has plenty for all no matter how you get around…and don’t miss the lovely Plaza Mayor which is another stop for you on one of your many possible routes around Palma! Goldcar, the market leader in holiday car hire, specialises in providing hire cars from its constantly updated fleet for tourism, and at the very best prices. With ongoing promotions and offers finding a cheap car for your holiday is as simple as going to their website at, www.goldcar.es and finding the ideal car for your holiday at the very best price.